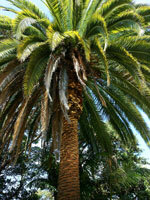 Sydney Tree Removals offers a wide range of tree services in the Strathfield South. We have a team full of professional arborists, we can confidently tackle any job proficiently and effectively. All our staff are trained for their job specific functions, including our tree climbers having a minimum of a Certificate III in Arboriculture. We are qualified arborists who work in the Strathfield South using the latest techniques and equipment to ensure that your Strathfield South tree and stump removal service is a success. We work confidently at any height, in confined spaces, near power lines, or over buildings and near structures. Our training enables us to lower branches over houses and pools in ways not to damage infrastructure. Our qualifications permit us to operate and use cherry pickers (boom lifts). When you need professional tree services for the Strathfield South, you need Sydney Tree Removals. Our staff at Sydney Tree Removals are happy to help you with your local council tree removal applications, sometimes we assist in the understanding of the tree preservation orders applicable to Strathfield South. We will provide general arbor advice and help you formulate a plan for whatever you arbor situation is. 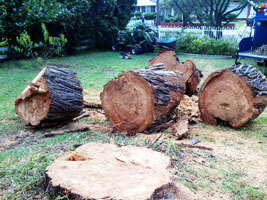 When we remove trees in Strathfield South we also encourage the customer to choose to remove the tree stump as well. The tree stump removal cost is relatively inexpensive. It takes a long time stumps to rot naturally or to be removed by hand. 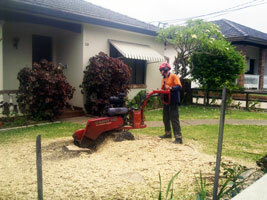 Some Strathfield South customers elect to use a chemical stump remover to speed up decay if they don't want to use our stump grinding service.